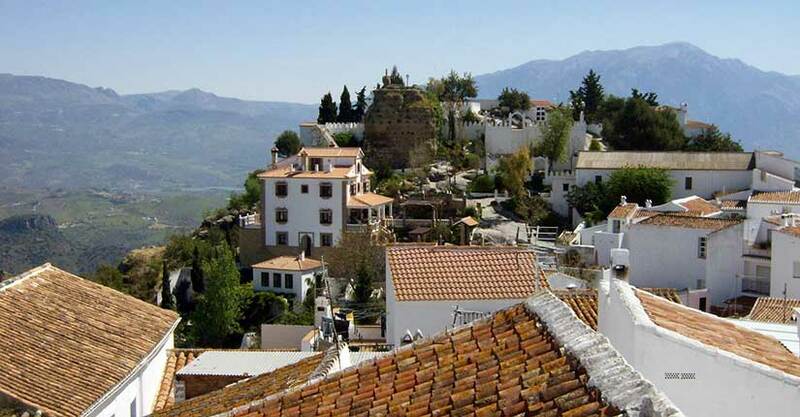 This small village stands on a rock which overlooks the Periana Corridor and part of the Axarquia mountains to the north, while the immense Velez Valley and the Sierra de Tejeda are visible in the south. Of Arabic origin, its location suggests that it must have been built as a military vantage point, its layout still conserving the typical features of fortress villages, its narrow, winding streets lined with white one or two-storey houses. Places of architectural interest include the remains of the fortress, Masmullar Hill, the Arabic cistern and Our Lady’s Church, built in Mudejar style. Due to its location atop a mountain overlooking most of the Axarquia region, the village has a long history dating back to prehistoric times. It may also have been the site of Iberian settlements and, later, a Roman colony. In the 11th century, it was the administrative headquarters of a group known as “The Four Villages” (El Borge, Almachar, Moclinejo and Cutar), which enjoyed the protection of Comares Castle. In May 1487, shortly after Vélez Málaga fell into Christian hands, Mohamed El Jabis -the last Moslem governor of Comares- paid homage to the Catholic Monarchs in an attempt to avoid any reprisals and to conserve some semblance of rights for the Moslem population. Though the moriscos (Moslem converts to Christianity) of Comares enjoyed more advantages than their counterparts in other villages of the Axarquia region, their lives would not have easy; proof of this is the gradual abandonment of the village’s lands which are chronicled as having been repopulated in 1490 by Old Christians from Extremadura, other parts of Andalusia, Valencia and even Portugal and Galicia. In 1512, the village was incorporated in to the estate of the Marquis of Comares, Don Diego Fernandez de Córdoba.